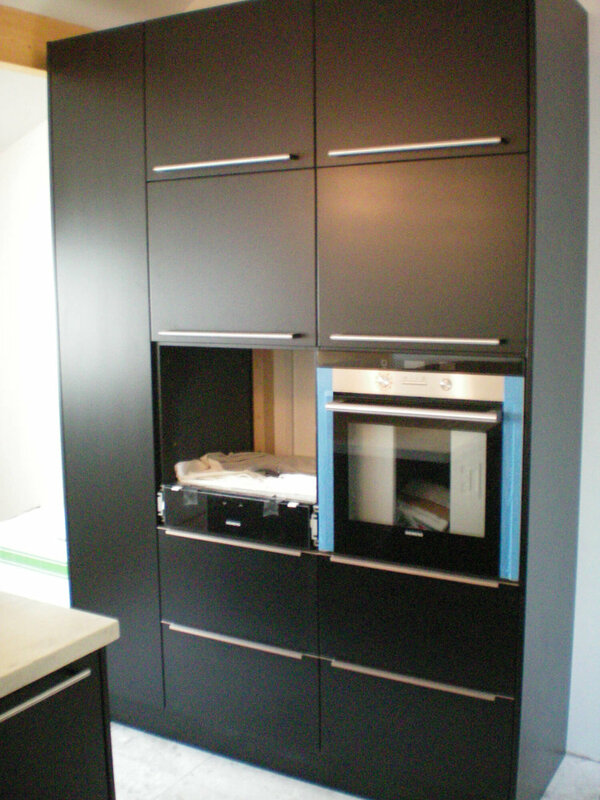 This was a concern to me as it might have created such a dark space, but with the light Corian ‘’Clamshell’’ tops, the high ceiling, and wall to wall windows it ended as the perfect combination and fit. 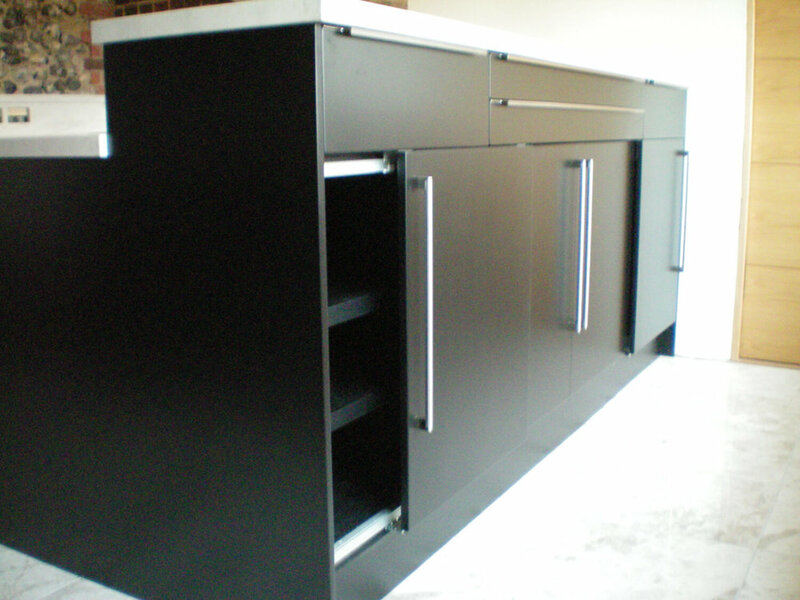 Part of the design was to have sliding doors to the cupboards to create large open storage and large integrated cutlery tray and drawers. This made a tricky build and install as the Corian worktops having to be scribed to a flint wall. The cabinetry design was made to the room with tapering depths so that the plinths lined with the grout lines within the existing floor, a lot of work for a small detail but that really made the difference.